That same feeling is in her art." • 20-image Gallery Packs ($18.00). To start colouring-in right now, select your images. 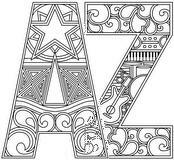 Use the letters of Debbie's Art Alphabet to make up signs, your name, anything. 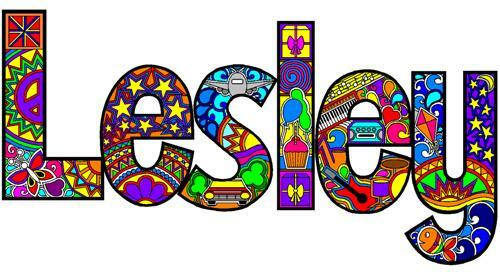 Have even more fun using the letters of Debbie's Hippie Alphabet to make up signs, your name, anything. Click Here to see other examples of Debbie's Custom Artwork for Schools. 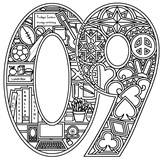 20 new colouring designs suitable for older children, adults and rehabilitation patients are now available. Art Numbers "0" to "9" have also been released. Contact Debbie for more details. 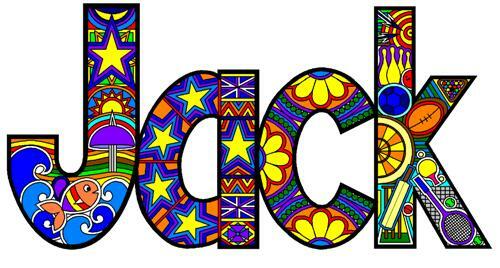 Debbie's Click'n'Colour designs are now available in the exciting new Click'n'Colour iPad App. iPad App by iPad / iPhone Developers, Creative Intersection. There is important information you should know before using this website. Significant discounts are offered to educational institutions, charities and not-for-profit organisations. … with exciting new colouring-in artwork by Australian artist Debbie Neale. Colour-in on paper: Download these ready-to-print images, print them and you are ready to go. Colour-in on screen: Download these black and white screen images, open them with Paint and start colouring-in. To start coloring right now, select your images. Custom School/Centre Click'n'Colour Designs… also available from Debbie. NEW! Debbie can create your own Click N Colour design… great for Schools. Email debbie@clickncolour.com with your Name, Logo, Motto, Programs, Communtiy icons and Industry in your area. You will receive (via email) an electronic outline and coloured version. 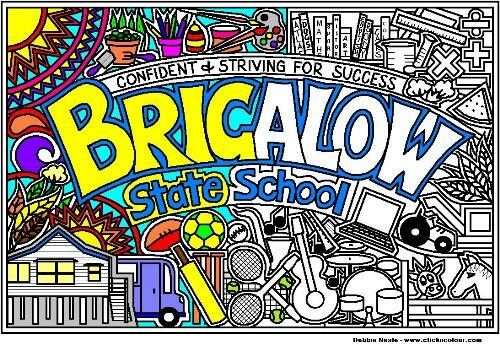 It can be uploaded to your school network where students can colour/print in Microsoft Paint. Also used for marketing and promoting your school, ie photocopied for visitors or added to you prospectus pack. 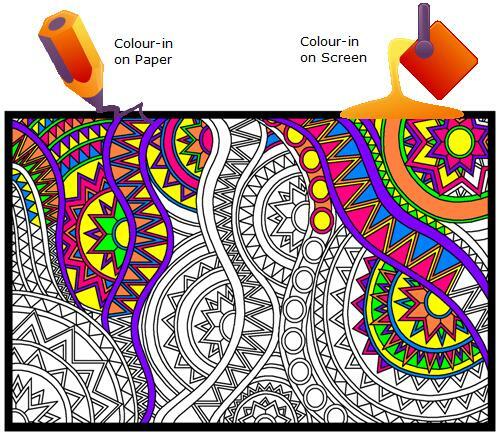 Colouring-in is good for you…… and not just for the kiddies! Debbie's original designs are much more than children's-book pictures. They will keep adults, as well as teenagers and children, busy for hours, adding their own artistic touch to bring each design alive. 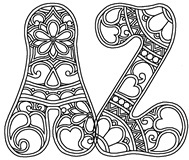 Colouring-in is challenging and creative; it helps develop fine motor skills and it's a calming activity. Colouring-in Debbie's artwork is a form of Brain Gym. It develops fine motor skills and improves hand-eye coordination. Artists are challenged to follow the pattern or extend their imagination and use alternating colours to create intricate sub-patterns. 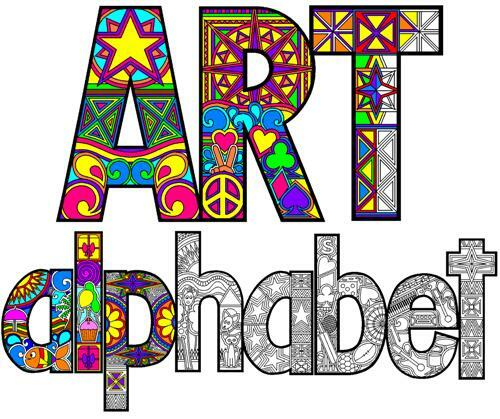 Debbie's Art Alphabet… downloadable artwork letters. Custom Artwork… also available from Debbie. For that special gift or momento of a celebration, contact Debbie. Tell her your guest of honour's interests (bikes, music, sport, whatever) and let her create your unique design.